Look to this professional-quality film to present your professional best. This optically clear film provides excellent bleed control for sharp images and strong ink adhesion to prevent ink transfer between overlays. Compatible with a wide range of HP DesignJet printers using both Original HP dye- and pigment-based inks, this film provides high-quality, consistent image quality print to print and roll to roll. And it's recyclable through the HP Large Format Media take-back program. Look to this professional-quality film to present your professional best. Produce sharp line quality and consistent, vivid color with a film designed to provide excellent bleed control and strong ink adhesion to prevent ink transfer between overlays.Meet your project deadlines. Compatible with a wide range of HP DesignJet printers using both Original HP dye- and pigment-based inks, this optically clear film provides high-quality, consistent image quality print to print and roll to roll.Help meet the environmental objectives of your company - and your clients. 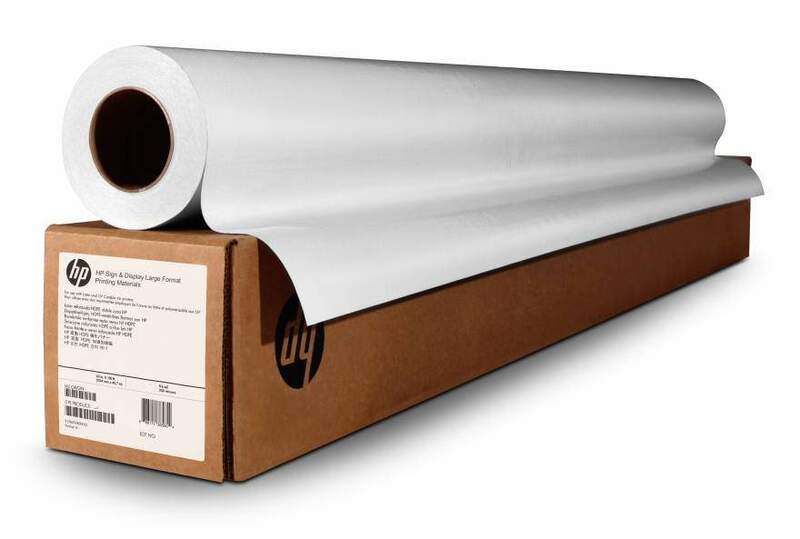 HP Clear Film is included in the HP Large Format Media take-back program, a free and convenient return and recycling program.